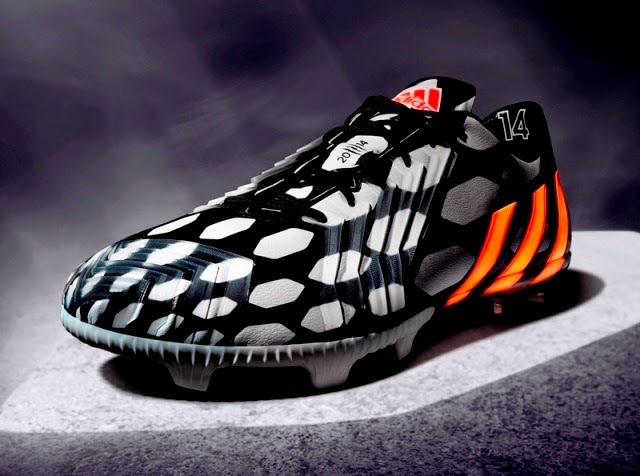 adidas Malaysia launched the ‘Battle Pack’ the official footwear collection for 2014 FIFA World Cup™ Brazil. 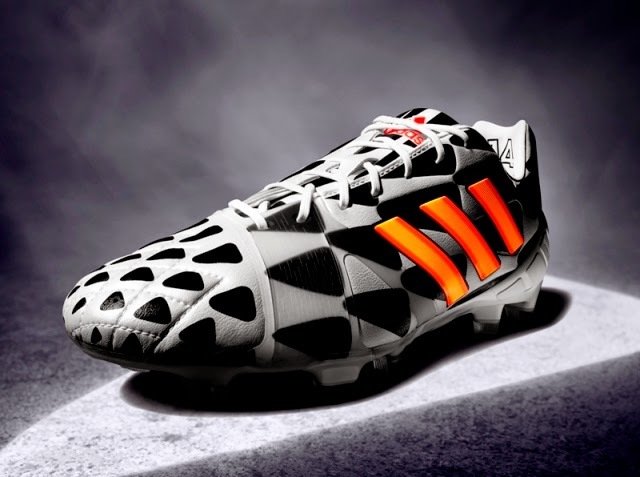 The adidas Battle Pack features a new boot from each of the five adidas boot ranges adizero™ f50, predator®, nitrocharge™, 11pro and adizero™ f50 Messi, each with its own disruptive black and white pattern to stand out on the pitch. The black and white patterns of the boots have been inspired by the war paint of native warriors and the iconic pavement patterns of ancient Mesopotamia perfected on the Copacabana beach. 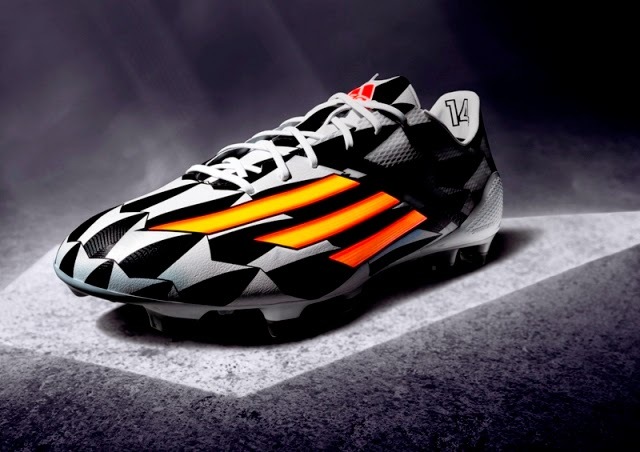 The individual patterns are designed to express the attributes of each boot, as well as the attitude and abilities of the player type who wears them as they fight for victory - speed, bravery, control, energy and agility. 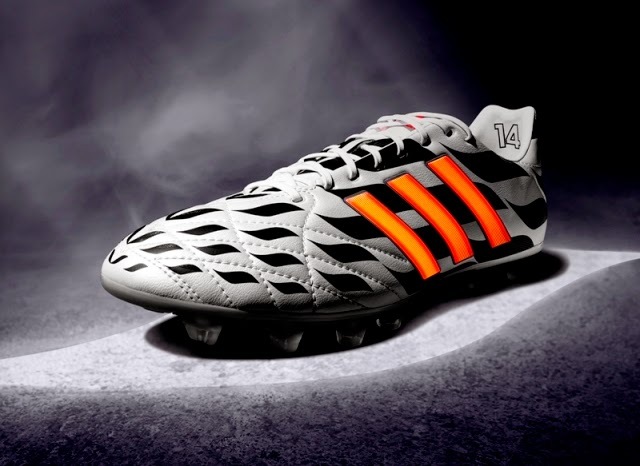 The boot is the only one of the Battle Pack to be designed with a white on black colourway (the others are all black on white) and is the latest in a line of new predator boots to be released especially for every FIFA World Cup since 1994. 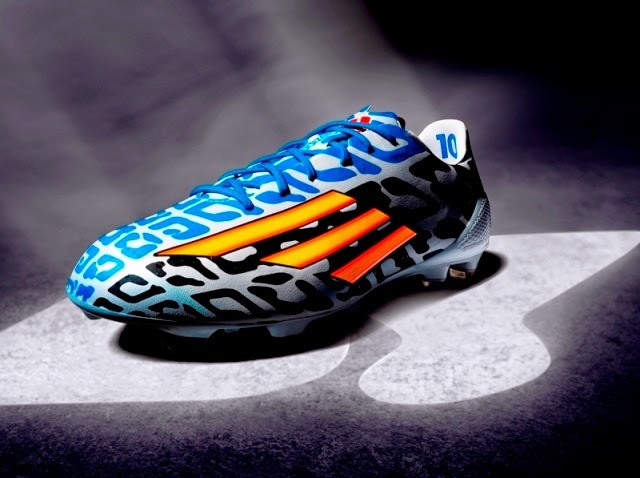 Favoured by the likes of Oscar, Mesut Özil and Fernando Torres, the boot is designed with five distinctive 'Lethal Zones' of technology to deliver outstanding ball control, touch, accuracy and power. The boot is made to master every aspect of performance. No team has ever won the FIFA World Cup without giving it their all. It‘s about teamwork, togetherness, passion and whole nations uniting and coming together for a common cause. The FIFA World Cup is the pinnacle of any player’s career where the best meet the very best and where icons are made. It‘s about pure devotion knowing that your actions will define history. And there is only one way to approach it - either you go hard or you go home. You stand or you fall. You unite or divide. It‘s black or white. It‘s all in or nothing. The Battle Pack collection is now available for purchase at adidas own-retail outlets in Suria KLCC, Pavilion, The Gardens, Paradigm Mall and Empire Subang as well as specialist retailers and multi-brand sports shops nationwide. For further information please visit www.adidas.com/worldcup or go to www.facebook.com/adidas or follow @adidasfootball #allin or nothing on twitter to join the conversation.